Behold, my first attempt at juicing! This glass of goodness contains kale, ginger, carrots, beets, pineapple, Cara Cara navel oranges, Gala apples, celery, and a pinch of cilantro. I had gathered up many juice recipes to try, but instead I bought what I thought I could stomach and just blended it all together. I winced as I brought this glass up to my lips because I was expecting a grass taste from the kale or something. But I was very pleasantly surprised! 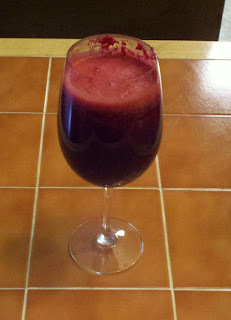 Ever since I saw the inspirational movie, "Fat, Sick & Nearly Dead," I've been intrigued about the benefits of juicing. It is a great way to create an extra potent blend of nutrients in beverage form. It would be incredibly filling and take much longer to ingest the same amount of fruits and vegetables in whole form (especially all in one sitting!) Watch this trailer to get a good idea as to what the movie is about. I grew up being a VERY picky eater. My poor mother pulled her hair out trying to get me to eat vegetables. In fact, I only ate my first salad about 15 years ago! Thank goodness, I've incorporated more and more vegetables into my diet as I got older. And now that I've had a successful first juicing attempt I am going to try more and more recipes to increase my intake of fruits and veggies. I also want to try a 3 Day Quick Start Reboot soon. Upon completing it I will fill you in on my experience. Have you ever juiced? Do you have any tips for beginning juicers like me? Do you have juicing recipes you'd like to share? I really would appreciate your feedback! Did this taste like grape juice? That's what it looks like to me. I guess from the beets? I haven't ever tried juicing before. 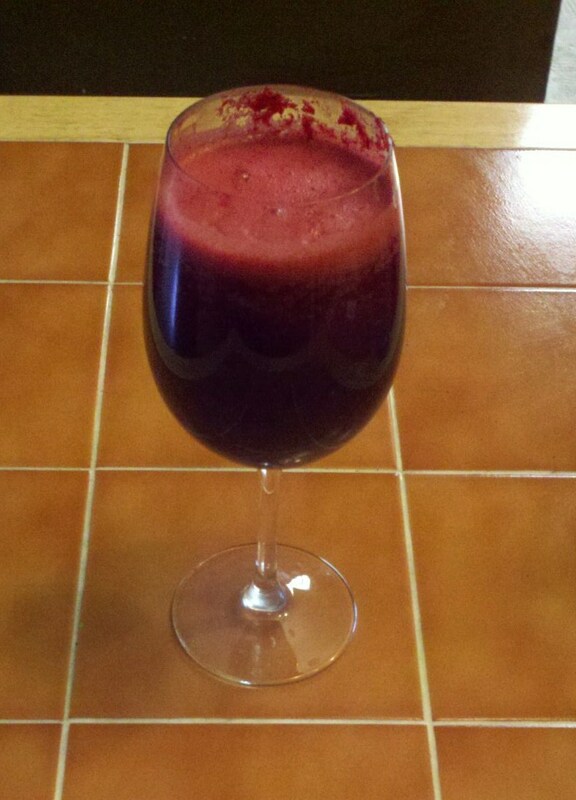 I don't really drink juice but I eat fruits and vegetables. I am on a Cara Cara Orange kick right now I eat at least 1 a day. I have not tried juicing but really want to. Need to find a good juicer. I do eat a lot of fruits and veggies but only because my diet for my fitness program makes me, lol. A juicer is a must have in a household, I don't have one yet but would love to have one someday. This is wonderful, like you i'm also a picky eater during my younger days, my mother gets tired of giving me green foods where in fact i never liked it, and until i get pregnant. it was my choice to eat vegetable to give to my baby inside. it wasn't easy at first. but later on it is me and my baby who benefits all this new starts. I haven't ever done juicing, but I have made fresh smoothies. My first experience with a juicer was at a health bar many years ago, they made organic carrot juice fresh - it was wonderful!!! nothing comparable!